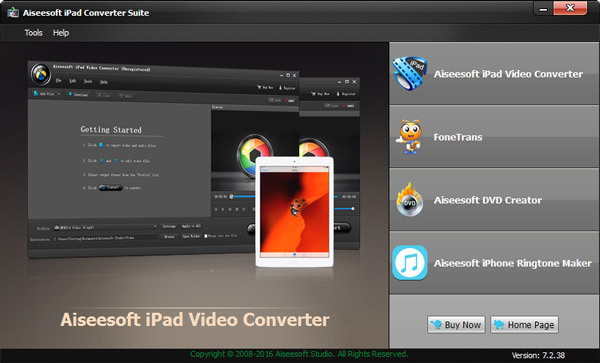 Aiseesoft iPad Converter Suite consists of DVD to iPad Converter, iPad Video Converter and iPad Transfer. With it, you can convert any DVD/video/audio to iPad, and transfer files between iPad and computer. Support for Aiseesoft IPad Converter Suite is available from the Publisher site. Planetsofts guarantees that Aiseesoft IPad Converter Suite is 100% Free, only means that it's not containing forms of malware, such as : spyware, viruses, trojans and backdoors.